Good morning! There's still time to join our March Madness pool. How it works: Enter your email here to receive a unique referral link. Once you sign up one friend for Axios Sports, you will both gain access to the contest. P.S. Thanks to everyone who participated in our daily prediction contest, and congrats to Allan Bronzo for winning (we'll be in touch)! Good luck in Round 2. Mike Trout has reportedly agreed to a contract extension with the Angels that will pay him more than $430 million over the next 12 seasons, blowing the record-breaking 13-year, $330 million deal Bryce Harper signed last month out of the water. Immediate response: "WOAH!!! That’s a lot of money!!!" 30 seconds later: "I mean, it's Mike Trout, so he probably deserves that insane amount of money." 10 minutes of research later: "Wait, this is a total bargain. MIKE TROUT IS UNDERPAID!!!" By the numbers: Over the course of his career, Mike Trout has been as productive as Harper and Manny Machado, combined. His career wins above replacement (WAR) is 64.3. Harper's is 27.4 and Machado's is 33.8. "In other words, take the superstar who just signed for $330 million, add him to a second superstar who just signed for $300 million, and you have Trout — except that Trout takes up only one roster spot," writes The Ringer's Ben Lindbergh. The bottom line: Mike Trout is so good that the largest contract in MLB history doesn't even come close to paying him what he's worth. Fun fact: Trout's extension is more than the combined career PGA Tour earnings of Tiger Woods, Phil Mickelson, Vijay Singh, Jim Furyk and Dustin Johnson — the top-five on the all-time money list. Anotha one: The median U.S. household income is roughly $60,000. Trout will make roughly $67,000 ... per at bat. Above: Senior guard Darnell Edge scored a career-high 33 points and Jahlil Jenkins had 20 of his 22 points in the second half as the Knights came back to beat Prairie View A&M 82-76, the school's first-ever tourney win. Up next: Gonzaga. 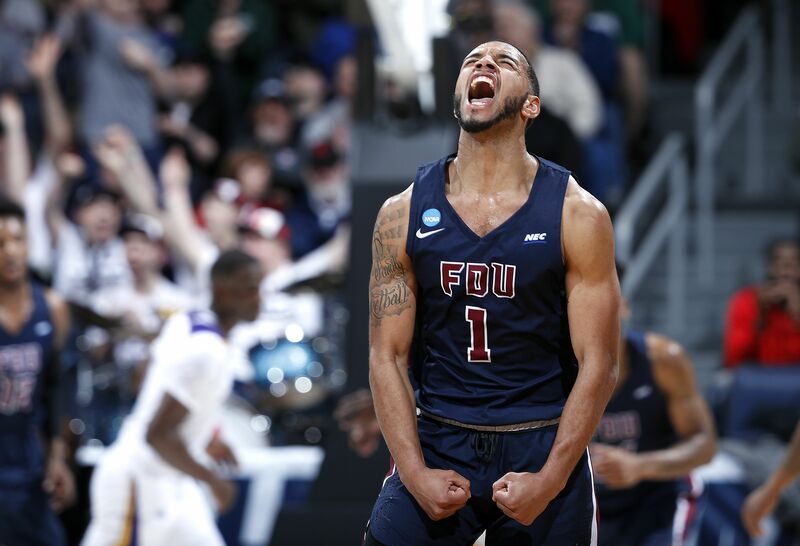 Below: Belmont is one of those mid-majors that I assumed had a couple big March upsets on its resumé, but it turns out last night's 81-70 win over Temple was the program's first tournament win (previously 0-7). Up next: Maryland. P.S. 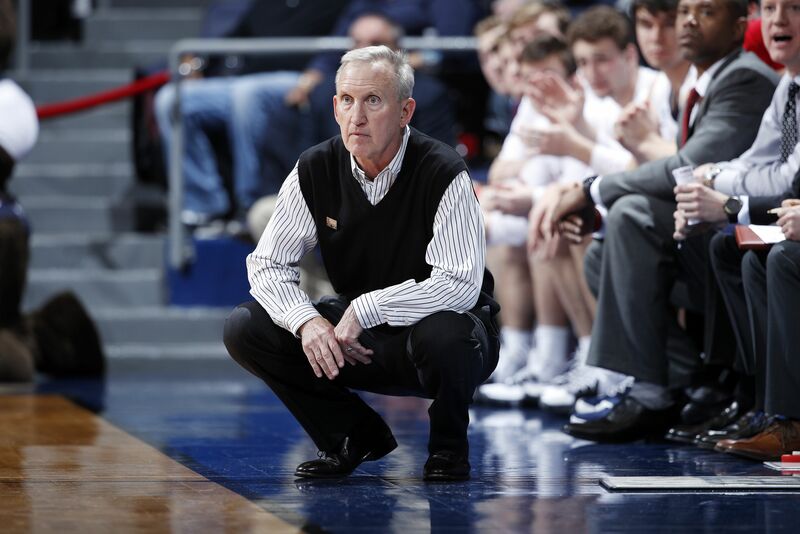 Pumped for Belmont's Rick Byrd, who is one of the most underrated coaches in the sport and a genuinely awesome human. Speaking of awesome humans: Last night was Temple coach Fran Dunphy's last game. From Mike: Opening Day isn't until March 29, but the Seattle Mariners and Oakland Athletics are currently playing a two-game set in Tokyo to open the 2019 season. The game is on ESPN right now. Seattle's up big. Go deeper: The biggest difference between baseball in Japan and baseball in the U.S. isn't on the diamond — it's in the stands. The fans go nuts. The quiet, still atmosphere baseball's best stars are used to is non-existent in Japan where fans constantly make noise with drums, horns and cheers. Kind of like a soccer game. The Tokyo Dome, where this series is being played, seats 55,000 people and was nearly full during the team's exhibition games. Average MLB attendance last year was 28,660. "It was awesome. They care about baseball. It's an exhibition game, 46,000 people here. That’s awesome. You don’t see that very often." P.S. Japan's own Ichiro Suzuki is in the lineup for the Mariners at the age of 45. What an absolute legend. P.S. Great article on him. 1. Turnovers are at an all-time low: Entering the week, just 12.6% of possessions league-wide had ended in a turnover — the lowest mark in NBA history. What's happening: With teams shooting three-pointers at a record pace, the floor is more spaced and the ball rarely ends up in crowded areas of the floor where strips and deflections tend to happen. Also, switch-heavy defenses have resulted in more isolation plays, which rarely lead to turnovers. 2. Offensive boards are at an all-time low: Entering the week, offenses were rebounding just 22.9% of misses — the lowest mark in NBA history. What's happening: The easiest way to slow down a hyper-explosive offense — of which the NBA has many — is to race back on defense and limit fast-break points. Plus, now that big men are shooting more threes, the best offensive rebounders are frequently 25 feet from the rim when a shot goes up. "James Jeffs' uncle ran a polygamist cult, so his last name evokes memories of past evil. As his town's first sports star, he's hoping he can help bring his community into a more modern world." "American Athletic Inc. is the official backstop supplier for the NBA, WNBA, NBA G-League and the men's and women's NCAA Tournaments. Every hoop you see during March Madness comes from one factory in a town of 4,150 people." "In the age of the superteam and high-frequency roster turnover, getting the balances right between stars and role players, veterans and fresh legs, and grit and skill is the key to making a Finals run." 30 years ago today, Major League Baseball announced that it was opening an investigation into Pete Rose for "serious allegations." The very next day, Sports Illustrated broke the news that Rose had ties to baseball betting. The investigation eventually determined that Rose, then the Cincinnati Reds manager, had bet on NFL games, college basketball games and MLB games, including ones involving the Reds, dating back to 1984. The league banned him for life. Where they are now: Rose's latest attempt to be reinstated was denied by MLB commissioner Rob Manfred. Because of his ban, the 77-year-old is not allowed into the Baseball Hall of Fame — a place he was once destined for (.303 lifetime hitter; all-time leader in games, at-bat, singles; won three World Series and three batting crowns). Meanwhile, MLB is dipping its toes into sports betting, recently striking a deal with MGM Resorts that makes the casino giant its official gaming partner. Question: Since 2000, 22 different quarterbacks have started a Super Bowl. Can you name the three colleges that have produced more than one of them? Hint: One is a member of the Colonial Athletic Conference, one is a member of the ACC and one is a member of the Pac-12. Last weekend's Siberian Power Show in Krasnoyarsk, Russia hosted a "Sport slapping tournament for men," which is exactly what it sounds like: two guys take turns slapping each other in the face until one gives up or gets knocked out. Slap of the weekend: BOOM. 9. 🎰 Axios Pick 3: Make your picks! 1. Who will cover the spread between St. John's and Arizona State (-1.5)? Betting 101: Arizona State is a 1.5-point favorite (live odds tracker), so they must win by two or more points to cover the spread. St. John's is a 1.5-point underdog, so they must lose by one point or fewer (or win) to cover. 2. Who will cover the spread between the Celtics and Sixers (-3.5)? Know this: These two teams have faced off 12 times since the beginning of last season. In that span, Boston is 10-2 straight up and against the spread. 3. Will Russell Westbrook record a triple-double against the Raptors? Know this: Westbrook has faced the Raptors six times since 2015, recording a triple-double in three of those six contests.